Hello my readers, few as you may be! I apologize for my silence over the past several weeks. I started a new job and have been much more tired than I was when I was unemployed-go figure! I am so excited to make my return to the blog with my very first giveaway! 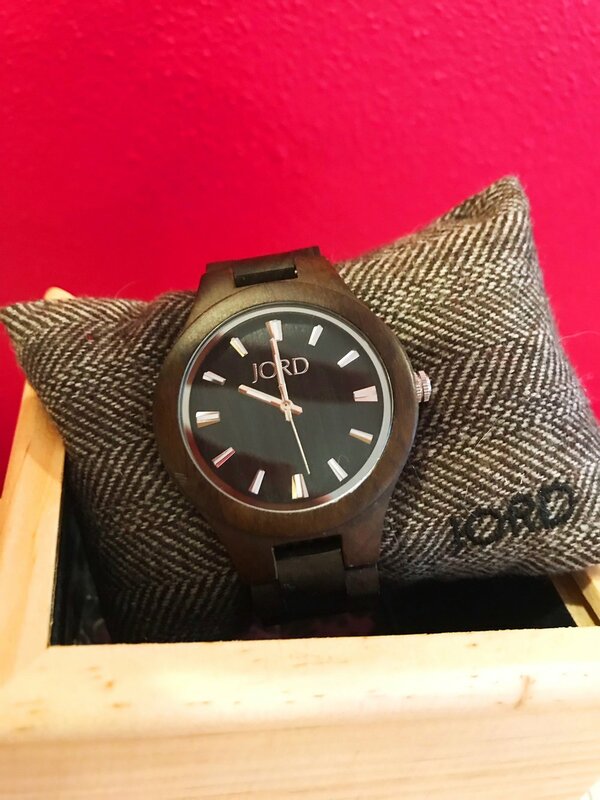 I have partnered with St. Louis based JORD watches, a wood-watch company that makes finely crafted, beautiful wood watches, perfect for both work and play. 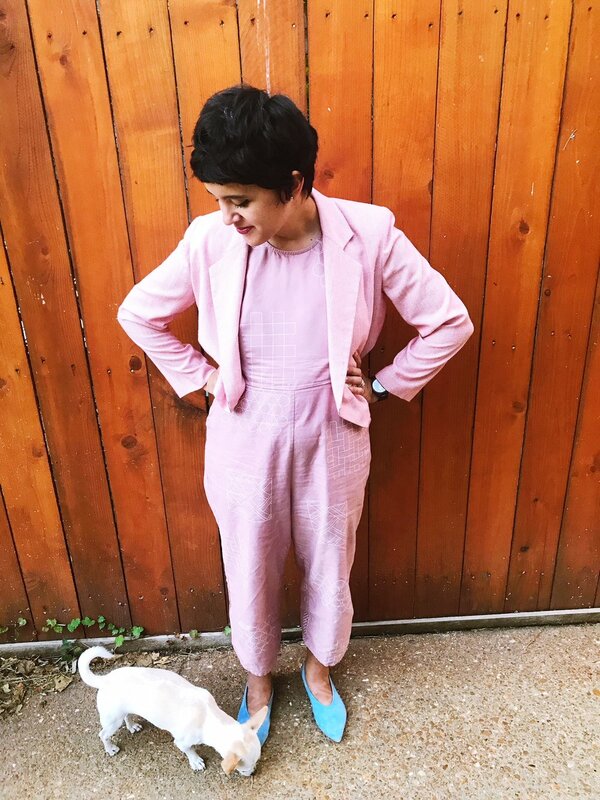 In honor of my new job, I'm bringing you two looks that prove business casual doesn't have to be synonymous with boring. Creative business casual is especially fitting to my profession as a music therapist: I have a creative job, in a professional environment. As with most jobs, I am required to attend meetings, and look presentable. However, over time I've realized that as long as you are meeting your work's modesty and dress code standards, while wearing something that allows you to perform the duties of your job, you often still have a lot of room within those rules to express yourself. As someone trying to cut down on spending and hoarding clothing, I appreciate being able to merge my professional and non-professional wardrobes. A good, unique watch brings pizazz and function to any outfit. I'm excited to have received this watch from JORD, a local company focused on sustainable, fashionable products. It goes with almost any outfit, and instantly gives off a professional, put together vibe. I chose the Fieldcrest watch, because my wrists are very small, and this one had a smaller face, but JORD offers a wide range of watch styles, with different colored faces, sizes, and types of wood. They also make the band to your exact wrist size, so you don't have to worry about taking it in to get fitted. Here's the fun part! From now until next Sunday 10/15, anyone who enters my giveaway linked below will receive a $25 gift code for any JORD watch. One lucky winner will receive $100 off of any watch, and with their newly launched Cassia Series, I'd be super stoked to win this. I'm thinking about purchasing the rose gold cassia for myself! Enter the contest here by 11:59PM on 10/15/17 for a chance to win! Thanks, as always, for checking out my blog! 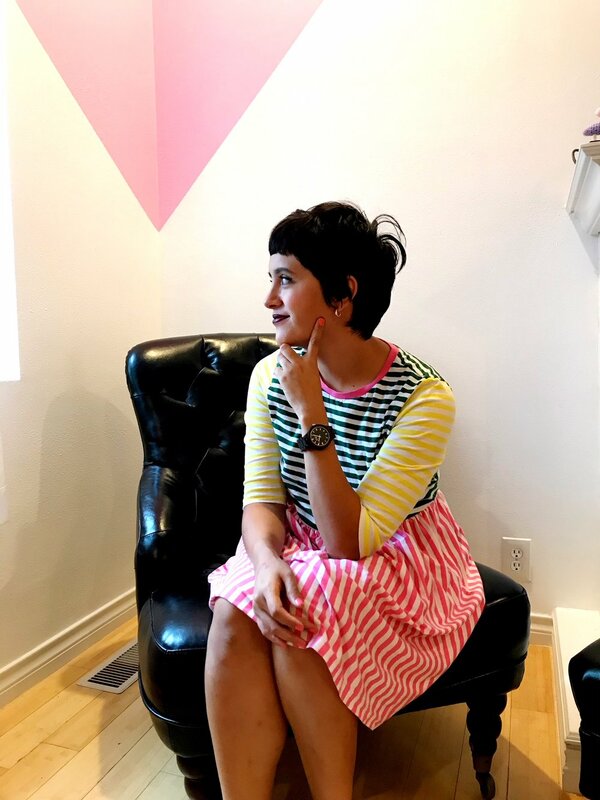 Let me know your tips for dressing creatively at work in the comments! And, be sure to enter the giveaway!